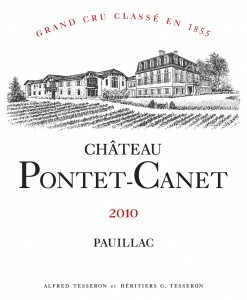 With 81 hectares, about 200 acres, of vines, Chateau Pontet-Canet, 5th Classified Growth, is one of the largest estates in the Bordeaux appellation of Pauillac. Like most Bordeaux estates it has a complex, multi-family history. The estate was first founded in the early 18th Century by Jean-François de Pontet, the Royal Governor of the Medoc. His heirs added to the estate, incorporating a nearby property, Canet, and establishing the property as it is known today. Shortly after the 1855 Classification the estate was sold to Bordeaux exporter Herman Cruse. 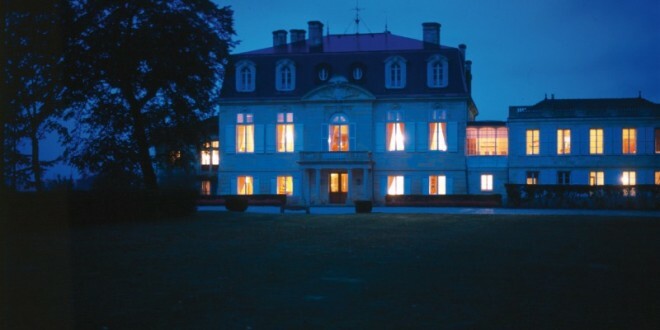 The Cruse family maintained the estate and further developed its international reputation for over 100 years, until once again the estate changed hands. It was purchased in 1975 by Cognac exporter Guy Tesseron. Today the estate is run by Guy’s heir Alfred and Alfred’s niece Melanie. Perched upon a prime lot neighboring the celebrated estate of Mouton Rothschild, Pontet Canet is uniquely poised to produce high-quality Cabernet Sauvignon based wines. However for Alfred Tesseron merely maintaining the status quo was not a possibility. Braving both failure and ridicule Alfred mad the choice to pursue both organic and biodynamic viticulture, an unusual choice in Bordeaux, with a plot by plot vineyard management system. The vine are tended with minimal intervention and then only via natural treatments. 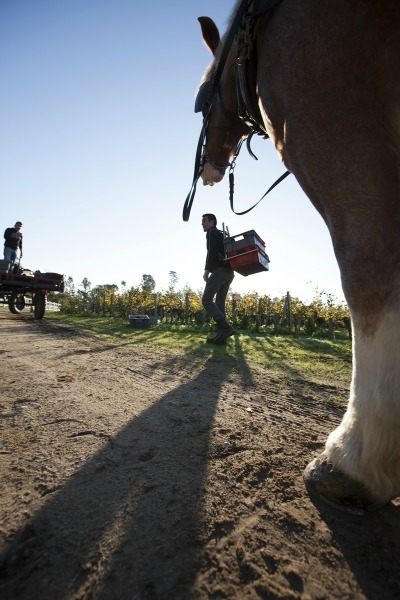 Modern vineyard machines are shunned wherever possible, with 32 hectares, or approximately 79 acres, tended solely by horses. Grapes are picked by hand in small lots and sorted with extreme care. However this diligent sorting does prove an exception to the use of modern machinery as two vibrating sorting tables are employed simultaneously. Despite the risks of this unique path, these efforts have improved the quality of the wine. 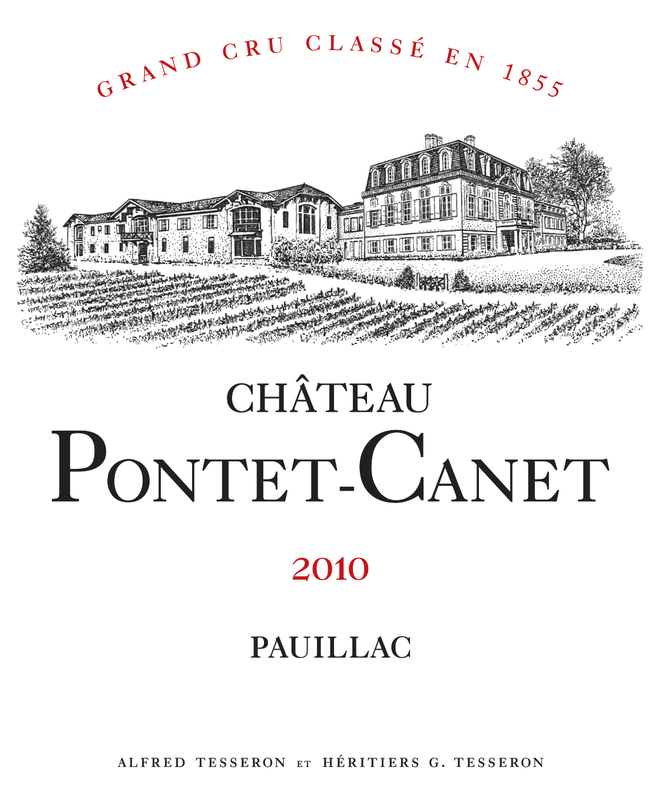 Year after year Pontet-Canet has been celebrated for its full-bodied, well-structured and long-lived wines. The gradual changes and careful attention in the vineyard have been prudently mirrored in the estate’s two vat rooms and the cellar. A secondary vat room, mimicking the style and concept of the first, was constructed in 2005, allowing for the vinification of smaller plots. Natural yeasts and a gravity driven system demands a longer vinification period. Careful aging and blending result in marked finesse and elegance in both the estates first and second, Les Hauts de Pontet Canet, wines. And the determination has been recognized by critics and amateurs alike. In particular, Robert Parker, the world’s most famous critic, recognized the estate with the coveted and nearly unattainable 100 Point rating two years in a row: 2009 and 2010. 86 Points, Wine Spectator. Velvety and refined this second wine delivers notes of dark berries highlighted with rich aspects of chocolate and tobacco. Extremely deep in color the attack on the palate is bold, yet the wine manages to remain fresh and elegant. Medium bodied with a delicate finish this wine is ready to be enjoyed. In addition to vintages available in stock, Millesima offers both Chateau Pontet Canet and Les Hauts de Pontet-Canet wines, in a wide range of vintages and formats, as pre-arrivals and futures.